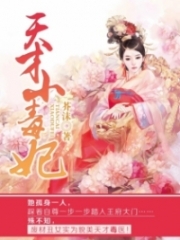 You’re reading novel Chaotic Sword God Chapter 272 - Tianqin Clan online at LightNovelFree.com. Please use the follow button to get notification about the latest chapter next time when you visit LightNovelFree.com. Use F11 button to read novel in full-screen(PC only). Drop by anytime you want to read free – fast – latest novel. It’s great if you could leave a comment, share your opinion about the new chapters, new novel with others on the internet. We’ll do our best to bring you the finest, latest novel everyday. Enjoy! Jian Chen held out a dozen Cla.s.s 4 Monster Cores to Ming Dong, “Continue to increase your strength then. You need not to worry about obtaining any monster cores, just leave all of that to me, but what you need to bear in mind is that cultivation to increase your strength is a step by step process. If you try to rush ahead recklessly, then who knows what hidden dangers in the future will affect your progress. Two days later, Jian Chen and Ming Dong both finally walked out of the mountains, and with another day of traveling, both men finally arrived at a Second Cla.s.s City. From far away, they could see a stream of merchants and mercenaries flowing in and out of the city. The amount of soldiers at the city gates numbered around three hundred, with each one of them inspecting both merchants and mercenaries alike. Obstructing their paths, they would talk for a moment before letting them pa.s.s. Even the walls were filled with troops of elite soldiers from the city who looked down on everyone with intense glares. Jian Chen and Ming Dong both walked into the city un.o.bstructed. Afterward, Jian Chen walked down the streets only to realize that portraits had been plastered everywhere throughout the alleys. The person described on the portrait was similar to Jian Chen in stature, but the strange thing was that his appearance was not described at all. “Heh, the ruler of the Blue Wind Kingdom truly wishes to find me with a portrait like this? This is nothing more than a fool’s journey. There are many people with a physique like this, h.e.l.l, the entire street is filled with people that match such a description. Could they want to just capture every single person with this description?” Jian Chen chuckled to himself as he looked at the portrait. Within the stables, Jian Chen had spent around five hundred purple coins in order to purchase two Cla.s.s 3 Magical Beasts adept in long distance traveling before going to an inn to rest. By the next morning, they were ready to leave the city. Jian Chen and Ming Dong both rode their Cla.s.s 3 Magical Beasts off on the official roads at a rapid pace. Dirt and mud splattered behind their trails like a long dragon made of dirt. Many merchants and mercenaries cried out in annoyance as Jian Chen and Ming Dong blew past them. After seeing their Cla.s.s 3 Magical Beast, they knew better than to provoke them. “Ming Dong, judging from the symbols on the map, there’s a First Cla.s.s City fifty kilometers ahead. We should head there and rest for a while and see if there’s an even better magical beast mount to be found.” Jian Chen mentioned without lifting his head from the map. Walaurent City was a First Cla.s.s City that expanded over a large area. The entire city was filled with bustling activities with streets so wide that several chariots could ride through them at the same time. There were multiple restaurants of varying sizes by the streets with merchants and mercenaries walking together, chatting. Walaurent City was fairly decent, with its wide streets with no trash or garbage to be seen, it was far more orderly. Wake City in comparison had many mercenaries with their stalls cluttered together by the side of the streets. From this, the difference between a First Cla.s.s City and a Third Cla.s.s City could clearly be seen. Suddenly, a large sound could be heard coming from behind. At this, Jian Chen turned his head to look only to see a group of brightly dressed transporters carry a luxurious chariot down the street. On the chariot, a yellow colored banner could be seen waving high in the air with the word “Qin” written on it. 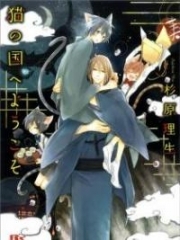 You're reading novel Chaotic Sword God Chapter 272 - Tianqin Clan online at LightNovelFree.com. You can use the follow function to bookmark your favorite novel ( Only for registered users ). If you find any errors ( broken links, can't load photos, etc.. ), Please let us know so we can fix it as soon as possible. And when you start a conversation or debate about a certain topic with other people, please do not offend them just because you don't like their opinions. You're reading Chaotic Sword God Chapter 272 - Tianqin Clan. This novel has been translated by Updating. Author: Xin Xing Xiao Yao already has 11779 views. Current Time is Apr-18-2019 16:29:33 PM.